It’s finally happened – you found the perfect Loft. It has exactly what you are looking for, it’s in the right neighborhood, and it’s actually in your price range. All you have to do now is make an offer and start packing, right? Unfortunately, you may not be the only potential buyer out there who has their heart set on this Loft, and your offer may not be the only one a seller has to consider. Here’s what you need to know to make sure your offer is the one a seller can’t refuse. We’ve said it before and we’ll say it again – if you’re serious about buying a Loft it’s imperative that you get pre-approved for a mortgage. Many sellers will not even look at an offer that doesn’t come with a pre-approval, especially in a competitive market. A pre-approval signals to the seller that you are serious. Do yourself a favor and take care of this necessary step before you even begin looking at Lofts. Whether or not a seller connects with you will influence which offer they eventually accept. Loft owners often develop attachments to their Lofts, and may be more likely to sell to a potential buyer who has the same emotional response, as opposed to an argumentative or insulting buyer who bids higher. It can be difficult to know sometimes if other offers have come in for the same Loft you are bidding on. While you don’t have to offer the listed price, if you do offer a lower price be prepared to explain why. Know what the comps in the neighborhood are as well as any potential repairs that will need to be made to the property. Escalation clauses are becoming more popular. Essentially they state that the buyer will agree to increase the offer by a predetermined amount if other offers come in that are higher. While you may not be in the position to make an all-cash offer, consider having enough money ready to increase the amount of the deposit. It could mean the difference between winning a bidding war – or not. Another possibility is to include a good-faith deposit with your offer, which is a check written for up to three percent of the asking price. Just be sure that you’re able to get that deposit back should your deal fall through. If you’re selling your current Loft or Home while you’re buying a new one, consider selling first so that the deal is not contingent on its sale. Most sellers prefer not to deal with contingencies, and if there are several offers on the table they’ll likely go with the one that has the fewest contingencies. In addition to making a connection with the seller, if you feel strongly about the Loft consider writing a letter to the seller, telling them about yourselves and why you love their Loft. That kind of emotion could be enough to seal the deal. 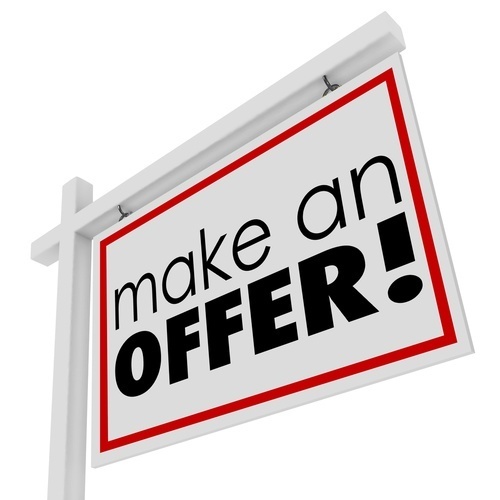 The bottom line is, if you really want to make sure your offer is the one that stands out, be as prepared as possible. It could mean the difference between moving into your dream Loft and accepting a compromise.